It isn’t easy arguing against Sean Penn winning the Best Actor Oscar for his typically confident turn in 2008 drama Milk but there was something extra special that year about Mickey Rourke in Darren Aronofsky’s The Wrestler. Rourke had almost disappeared from the movie business, turning his attentions to professional boxing in the early 1990s. This saw his film output drop off significantly with occasional roles or bit parts in largely forgettable cinema. In 2000, he was invited by Sly Stallone to feature in his update on Get Carter and was incredible as a transvestite prisoner in Animal Factory but Rourke once again all but disappeared until 2005’s Sin City. It wasn’t until 2008 that the 1980s pin-up fully reinstated his credentials. In Darren Aronofsky’s film he plays a professional wrestler who was once famous in the 1980s but now, way past his prime, desperately clings on to his faded star despite severe health issues that could see his next fight turn fatal. The irony is not lost on the director, actor or audience – this is Mickey Rourke’s film and it’s also reminiscent of his real life. Rourke’s performance is that of a man who once acted to live, and now lives to act. It is so perfectly nuanced there isn’t a moment when you query whether or not this character had been a professional fighter his whole life. With moments of true tenderness, mainly centred around him rekindling his relationship with an estranged daughter, alongside authentic, sweat-covered muscle-on-muscle action in the ring, The Wrestler is enthralling, surprising and heartbreaking. And it is all brought together by Mickey Rourke who delivers his greatest ever performance. 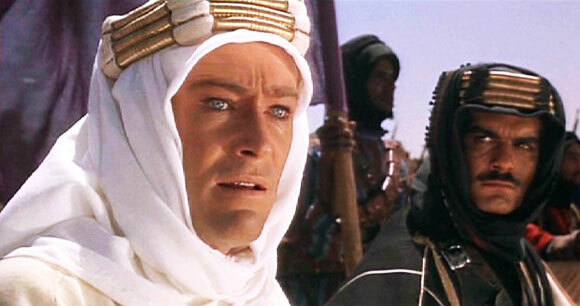 Lawrence of Arabia and To Kill a Mockingbird need few words. They are classics and continue to be loved by audiences today. Each featured two powerhouse performances from a pair of Hollywood greats who have incredibly only won one Academy Award between them. And it was this year – in 1963 – when that single award went to Peck. 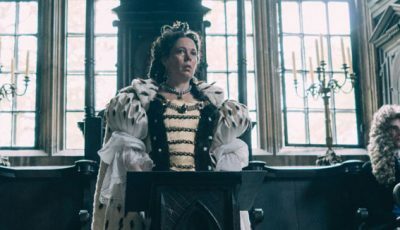 Yet, the Academy saw fit to reward O’Toole’s film with the most prestigious accolades of the night as it won Best Picture and Best Director. So why didn’t O’Toole take home the prize for acting, and, perhaps more interestingly, how is it possible that the man originally from Leeds in West Yorkshire, England never received the Best Actor Oscar despite being nominated eight times. Indeed, he holds the record for the most Academy Award nominations (eight) in acting without winning. Sometimes even an actor’s best ever performance isn’t good enough to win the Academy Award. Yet, despite Robin Williams dividing audiences in his credentials as a leading man, surely Good Morning, Vietnam was his moment to take home the Best Actor Oscar. But wait, it was Michael Douglas’ year too. 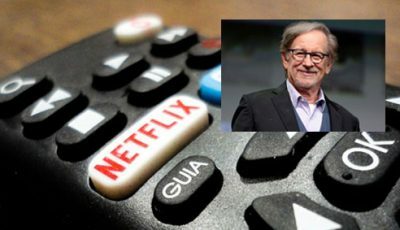 Bringing ruthless corporate raider Gordon Gekko to life in Oliver Stone’s Wall Street, Douglas took top honours so Williams was left seated when the winner was announced. Perhaps this was the year they could have had a tie? The same year that saw Robin Williams’ career best performance in Good Morning, Vietnam lose to Michael Douglas’ career best performance for Wall Street, saw Glenn Close miss out to another – you guessed it – career best performance, this time from Cher. To make the link between these films even more acute, Close starred opposite Douglas in Fatal Attraction for which she was nominated for Best Actress. 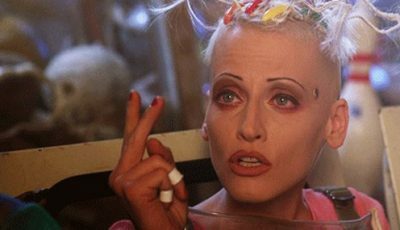 Her measured psychological destruction following the breakdown of her affair with a married man is the key ingredient behind one of cinema’s greatest female villains. Perhaps this was another example of the Academy favouring more straight forward drama over much darker thrills. Faye Dunaway claimed her only Best Actress Academy Award the same year Sissy Spacek rose to prominence with her shy, introverted teenager Carrie White in Brian De Palma’s horror Carrie. Perhaps it was too soon for Spacek, the Academy giving the more seasoned Dunaway her first and only top honour but Spacek’s performance was more worthy. Network is a fine film from a fine filmmaker, and its message feels as fresh today as it did in the 1970s, but it should have won Best Picture and Best Director in addition to its Best Actor for Peter Finch. Dunaway’s performance is strong but it isn’t as nuanced as Spacek’s and given how the character has become so iconic within the horror genre it highlights what a powerhouse Spacek was even during her fledgling years. As commendable as Marlene Matlin’s performance in Randa Haines’ Children of a Lesser God is, Sigourney Weaver should have bagged the Best Actress Oscar at the 59th Academy Awards. 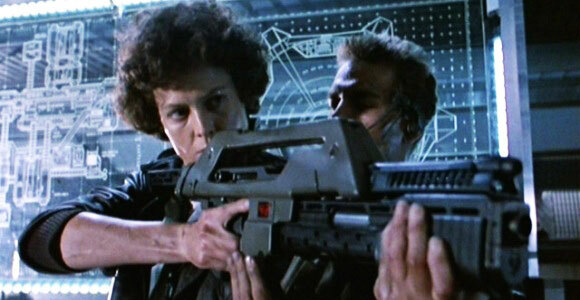 Weaver’s character Ripley is the epitome of the female hero. In an age dominated by male action stars flexing their biceps, Weaver showed that women could possess similar prowess. In Aliens she exhibits a tough exterior and an even tougher interior but her courage comes in many forms. She defies the misogyny and scepticism of her mainly male colleagues, she rises to the challenge of trying to survive and defeat the same monster that nearly killed her in the previous film, and draws on her maternal instincts to help a frightened young child. Retrospect teaches us many things and if the Academy Award for Best Actress went to the film that was going to stand the test of time and be just as loved thirty years after its release, then Aliens and Sigourney Weaver would take the prize. Oh, Paul Newman is up for Best Actor – we better give him the award then. Newman shouldn’t have won for The Color of Money. Notwithstanding the fact it is neither one of his best films nor performances, there were stronger candidates in the field. 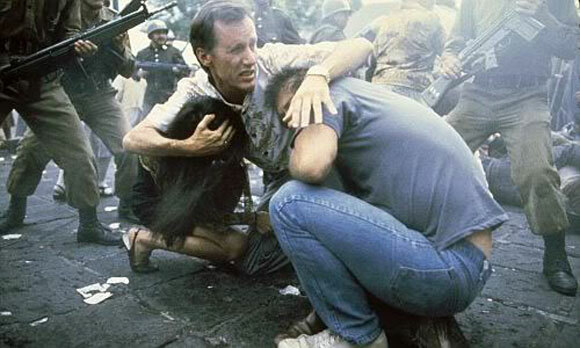 William Hurt in Children of a Lesser God would have been a good fit since his co-star won Best Actress but I would have given the award to the brilliant James Woods for his portrayal of loose-cannon photojournalist Richard Boyle in Oliver Stone’s film about war torn El Salvador. If we are honest, The Apartment should have cleaned up at the 33rd Academy Awards ceremony. Billy Wilder’s romantic comedy-drama was bestowed top honours in both the Best Picture and Best Director categories but, despite its leading stars MacLaine and Jack Lemmon getting nominations in starring roles, neither won, losing to Elizabeth Taylor and Burt Lancaster respectively. MacLaine is so radiant and lovable and layered and beautiful you wonder how her “manic pixie” could have been overlooked. Out with the old, in with the new: not in the Academy’s case. The Oscars nearly forgot all about Hollywood icon John Wayne until 1970 when they decided they better give him a Best Actor Oscar before it was too late. 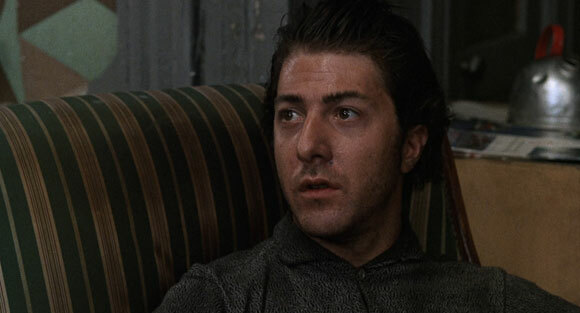 Despite having the opportunity earlier in his career to bestow the man born Marion Robert Morrison with the highest accolade an actor in Hollywood can achieve, the Academy waited until young upstart Dustin Hoffman delivered the greatest performance of the year – by far – to fix their oversight. Indeed, Hoffman’s Midnight Cowboy performance has rarely been bettered by the actor despite him later receiving Oscars for his turns in Kramer Versus Kramer and Rain Man. Perhaps that was the Academy atoning for this error. John Wayne is an American institution – a pin-up for masculinity, prowess and the Hollywood hero – but the late 1960s saw a sea change in Hollywood as the American new wave directors began stamping their authority. The Academy Awards recognised this by awarding Midnight Cowboy the top honours – both Best Picture and Best Director – but unfortunately not Best Actor for Hoffman. There is a case to be heard that Oscars go to actors almost in hindsight, either to ensure they get at least one having missed out previously in their career, or to reward them for a sustained period of excellence. It felt like that with Martin Scorsese. 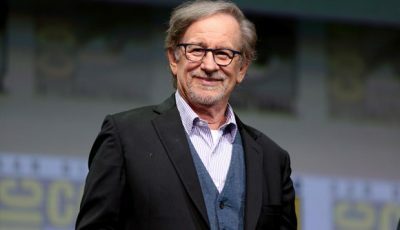 Having made the likes of Taxi Driver, Mean Streets, Raging Bull and Goodfellas, by 2006 he incredibly still hadn’t won an Academy Award for Best Director. So he got one for The Departed. Yes, the film is typical of the director – superbly photographed, edited and paced, a joy to watch and re-watch, and full of great characters and sparkling performances – but is it more deserving than any of his others. Of course, it depends what the competition is every year but until The Departed gave Scorsese his much-deserved Best Director gong, there was a distinct feeling the Academy had wrongly missed him off the “winners” list. At the awards in 1974, Hollywood great Jack Lemmon was bestowed the Best Actor award for his role in Save the Tiger which, similar to Dustin Hoffman missing out in 1970 for Midnight Cowboy, felt like old, classic Hollywood triumphing over new wave Hollywood. It was also another example of the Academy seemingly rewarding Lemmon for the cumulative quality of his efforts as he hadn’t achieved such heights with either of his most well known films – The Apartment and Some Like It Hot. Al Pacino, sitting in the wings, his understated real life demeanour masking his ability to explode theatrically in front of a movie camera, was left as one of four unlucky losers (the others were Marlon Brando for Last Tango in Paris, Jack Nicholson for The Last Detail, and Robert Redford for The Sting). Similar to Scorsese, he would later get the big prize for a lesser if still stellar performance in Martin Brest’s Scent of a Woman. If ever there was a case of the Academy damning the horror genre, preferring instead to celebrate the easy-on-the-eye delights of comedy-melodrama, then 1974 was the year. Horror has never sat well with the Academy but if one film was to ever change that trend it would be The Exorcist. Sadly it didn’t. 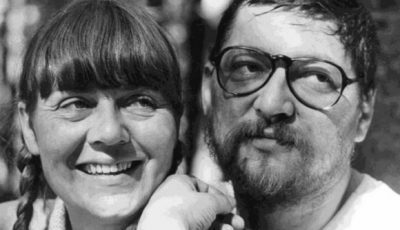 The film was nominated for ten awards (clearly highlighting its significant contribution to cinema that year and the qualities it contained) but only took home two for its exceptional sound design and William Peter Blatty’s adapted screenplay. The Sting is a much-loved film and delighted the Academy voters enough that year to bring it the key accolades of Best Picture and Best Director but, as enjoyable as it is, director George Roy Hill’s movie has not had the same profound effect on audiences, then or now, as The Exorcist. But aside from whether or not The Exorcist should have been given the top prizes at the 46th Academy Awards held at the Dorothy Chandler Pavillion in Los Angeles in April 1974, Ellen Burstyn should have received the Best Actress gong. She was up against Glenda Jackson whose portrayal of a British divorcee in Melvin Frank’s amusing A Touch of Class saw the actress enter into a love affair with an American played by Peter Segal. There’s some nice moments in the film with its elements of awkward sexually-frustrated farce drawing plenty of laughs underneath the theme of marriage breakdown and middle-aged rebirth but it’s slight and forgettable compared to The Exorcist. And Jackson’s performance, though admirable, is nothing compared to Burstyn’s groundbreaking turn as a mother fighting desperately for the wellbeing of her daughter against a foe neither she or anyone else understands. Burstyn’s incredible raw energy is enlivened by her role as matriarch, depicting so beautifully the strength and the fragility that comes from harbouring an undying love for one’s daughter. 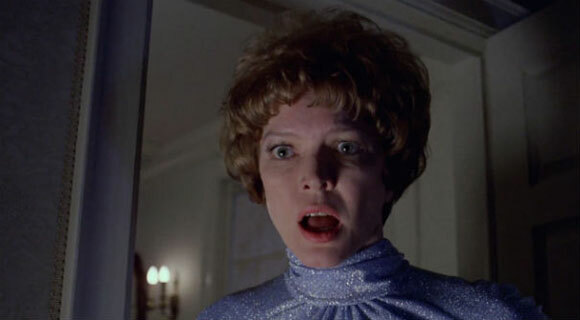 Aided by The Exorcist director William Friedkin’s passionate megalomania, Burstyn grounds the film’s overarching paranormal themes to give us something that is both natural, authentic and, importantly, believable. She is an incredible actress and the early 1970s saw her produce her finest work but she should have received the Academy Award for Best Actress in 1974 for her role as Chris MacNeil. It’s no surprise the Academy saw the error of its ways and gave her the accolade one year later for Scorsese’s Alice Doesn’t Live Here Anymore. Over to you: where did the Oscars get it wrong in your opinion? 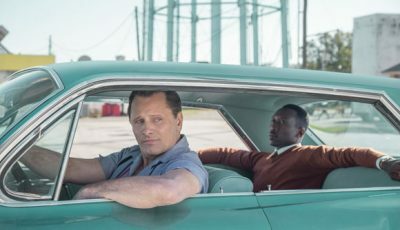 What do you think of the performances listed above – did they deserve the Academy Award or were the recipients more deserving? Mickey Rourke for sure, he gave a revolutionary performance. I was rooting for him through the entire awards season. Good to hear. Penn has his fans and delivered an incredible performance but there was something extra special from Rourke that year. I was actually rooting for Penn, as much as I liked Rourke. Out of recent examples the lack of nominations is something that makes me more annoyed than the Oscar going to whoever it goes – I still cannot believe Fassbender wasn’t nominated for Shame. That’s a great example, Sati… This year I was disappointed to see Tom Hanks miss out for Captain Phillips. It’s strange because the film is recognised by the Academy voters in the Best Picture category. I haven’t seen most of these. 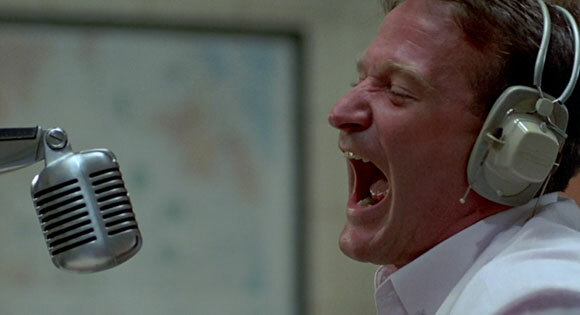 But Williams’ snub for Good Morning Vietnam surprises me everytime I see it. Burstyn in the Exorist was worthy, too, of course. I definitely feel Robin Williams’ performance in Good Morning Vietnam deserves more attention but Burstyn missing out is a crime. I rewatched Network recently, and Faye Dunaway was definitely not as memorable as Sissy Spacek in Carrie. Have been many I diagree with over the years: Humphrey Bogart losing for Casablanca. Edward Norton for American History X losing to Roberto Benigni. Bill Murray for Lost in Translation losing to Sean Penn. I thought Dunaway was good but the film was brilliant and perhaps she got the nod over Sissy Spacek because the Academy does have a tendency to ignore more straightforward genre work. Spacek was so deserving that year – every time I see Carrie I think she’s incredible. Good addition with Edward Norton although every time I think of Benigni clambering over chairs to get to the stage it makes me smile…a bit like Life Is Beautiful itself. Faye Dunaway probably benefited from Network being on the voters minds. I agree, Spacek should have got that one. How Glenn Close missed out to Cher! Wow! Of course, Ellen Burstyn was fighting the usual battle horror films, film-makers and actors have with the Academy…lack of respect! They made amends with her (like they did with others) but she’s astonishing in The Exorcist. The Exorcist rightly won for Best Adapted Screenplay (William Peter Blatty) but in my opinion, it should have taken home Best Picture and Best Director that year as well as Best Supporting Actress for Linda Blair. I love The Sting (the winner of Best Picture/Director) but it doesn’t have the incredible power of Friedkin’s film. I really have to watch “The Wrestler” again at some point. That movie was fantastic, and Rourke was exceptional in his performance. 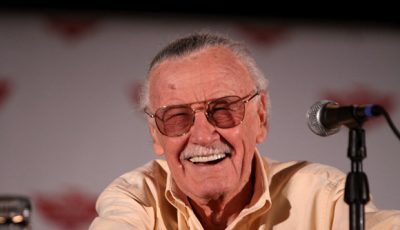 It brought steam back to him as an actor, and deserved more hype than it was given. Thanks. It was an incredible performance from a man who had been practically forgotten about. There was something extra special about that turn from Rourke which made it even more deserving of the Academy Award. 1974: Jack Nicholson in Chinatown before Art Carney in Harry and Tonto. 1981: John Heard in Cutter’s Way before Henry Fonda in On Golden Pond. 1992: Benoit Poelvoorde in Man Bites Dog before Al Pacino in Scent of a Woman. 1994: Al Pacino in Carlito’s Way before Tom Hanks in Forrest Gump. 1998: Johnny Depp in Fear and Loathing in Las Vegas before Roberto Benigni in Life is Beautiful. 1998: Tom Hanks in Saving Private Ryan before Roberto Benigni in Life is Beautiful. 2000: Ed Norton in Fight Club before Kevin Spacey in American Beauty (this is a tough one – Spacey is great). 2004: Nicole Kidman in Dogville before Charlize Theron in Monster (another toughie). 2006: Leonardo DiCaprio in Blood Diamond before Forest Whitaker in The Last King of Scotland (a further toughie, but DiCaprio is magnificent). I knew you’d have some good ones Mark. Robert Benigni is one that I’ve seen many other commentators mention recently and over the years. I love it – it’s great to see a foreign language film make such an impact in English-language speaking countries, particularly upon a quite insular American cinema-going public – and his scramble over the chairs to get to the stage on Oscar night always makes me smile (a bit like the film itself). But I know what you mean. Johnny Depp has delivered some incredible performances over the years and many have gone unnoticed (not even a nomination for Edward Scissorhands!). Few would argue against Fear and Loathing in Las Vegas winning Best Actor that’s for sure. 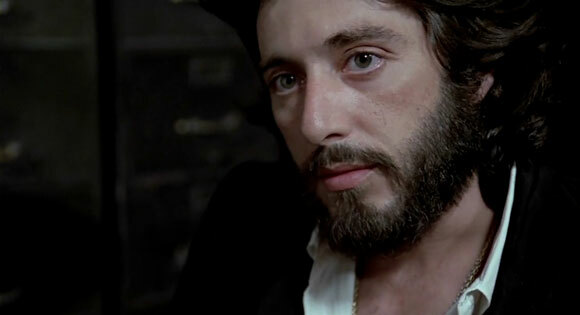 Pacino is an unusual one – he’s been nominated eight times and probably should have won at least four, yet eventually won for Scent of a Woman which wasn’t, in my opinion, as strong as say Serpico. Interesting that you take a Hanks Oscar away to give him another one. I’m inclined to side with Hanks for Forrest Gump and keep the delightful Benigni clambering over seats! The Art Carney one is interesting and one that I considered for this list. The field was so strong that year and the surprise was that the Academy awarded perhaps the least likely. In hindsight, it’s definitely the film and performance that most people have forgotten about. I think the majority would say Pacino should have got it that year for Godfather II. I like your choice of Nicholson but I’d give it to Hoffman for Lenny (a truly incredible performance of an enigmatic and ahead-of-his-time alternative comedian and his ultimate self-destruction). This seems to happen a lot with the Oscars. Pacino missed out for some great performances but then finally got the reward he deserved for Scent of a Woman. It was as if the Academy realised its mistake and wanted to make amends. But few would argue his turns in Godfather, Godfather II, Serpico or Dog Day Afternoon were just as deserving, if not more so. Pacino and Hoffman should have more Oscars between them. Do the Academy voters go out of their way to evenly spread out the awards. Meryl Streep with her hatful would suggest not. The Sissy Spacek one physically hurts me. Great and sad list you’ve got here, Dan! Sissy Spacek has turned in some brilliant performances since Carrie but she’s so superbly raw and fragile in De Palma’s film that her destructive finale hits with such power. Another example of horror being shunned by the Academy. Great list Dan. I love reading your thoughts on film. Here are some others that I feel are worth mentioning. Some of these are performances that weren’t even nominated. Val Kilmer in Tombstone: Maybe he didn’t deserve to beat Tommy Lee Jones for best supporting that year, but he at least deserved a nomination. Stallone in Rocky: Yes Network is loved and Finch gave a great performance but Rocky was one of the most memorable characters ever created and he deserved it this year. Bill Paxton should have at least been nominated for Aliens in 1986 and should have won as well. Michael Caine won for Hannah and her Sisters. Yep, ok.
John Candy should have been recognized for Planes Trains and Automobiles in 1987. There are so many performances that should have been recognized but the Academy ignores far too many films and genres. …there’s a whole other list in the making for great performances not even nominated. We had one this year with Tom Hanks in Captain Phillips. Bill Paxton should have got some recognition for Frailty which he directed and starred in but we often see genre films get ignored. Man of the moment Matthew McConaughey was great in that movie too! Great list and dissertation on each choice. I may argue a bit over #2. Always thought that ‘Serpico’ was the flip side and continuation of his character of Bobby in ‘The Panic in Needle Park’. Pacino did a better job in telling the tale. While Mr. Lemmon pulls all kinds of quiet motivation for his role and character in ‘Save the Tiger’. selling it to the hilt. Great catches on ‘The Wrestler’. And Hoffman’s “Ratzo” Rizzo in ‘Midnight Cowboy’. But the Duke won the Oscar more as a Lifetime Achievement Award and atonement for his snub for ‘Sands of Iwo Jima’. I do think that awards, such as “the Duke’s”, for lifetime achievement should be given as a separate category. I’m all for celebrating great bodies of work but not at the expense of those that have reached a career high on a given year. I still have to see Children of a Lesser God, but when I think of iconic movie heroines, Ripley is right up there, great picks! Is it too early to add Chiwetel now? …possibly…Or Leo missing out, or Tom Hanks not even being nominated. Been thinking about this entry some more …. I was going to say Peter O’Toole for The Stunt Man in 1981 … problem is he was up against De Niro in Raging Bull, so no point going there. Val Kilmer for The Doors over Tony Hopkins for The Silence of the Lambs in 1992 -I stand by that one. 1974: Jason Miller for The Exorcist over Jack Lemmon for Save the Tiger …. yes; Miller over Nicholson in Chinatown – problematic, but I would have gone for Miller. He was nominated for best supporting actor, but lost to John Houseman for The Paper Chase. Yeah, well, Houseman is OK as the ivy league law professor; Miller is absolutely riviting as the angst-ridden priest. The Paper Chase is quite entertaining; The Exorcist is challenging. And Miller wasn’t the supporting actor – the film was about him, just as it was about Ellen Burston. The Exorcist should have been The Silence of the Lambs of its day – best film, best director, best actor, best actress and best screenplay (which, admittedly, it did get). Plus it should have won the cinematography gong. …yet, while I obviously don’t agree with Kermode on everything, I do love his fascination and, well, obsession with The Exorcist. I read his book about the film which is highly illuminating and provides a good insight into why he feels the film is the greatest of them all. …but I find myself agreeing with him. I’ve so far stayed well away from publishing a “top 10 all time” list but The Exorcist would surely be on it. For me, it’s perfect. And you rightly highlight Jason Miller’s performance as one more than suitable for the Academy Award. Heck, Linda Blair went through hell to convince us she was in hell so she should have got Best Support too! WOW, it’s surprising these actors didn’t win. There are a few I haven’t seen but I heard Rourke was phenomenal in The Wrestler. It’s nuts that Glenn Close didn’t win for Fatal Attraction. That was quite a bravura role for her, too. Great list! Definitely agreed on a few of these, especially O’Toole and Burstyn. True, there are some real robberies here. O’Toole, Williams, Close, Weaver, and Hoffman were all very deserving. While it’s a shame they didn’t win, their performances were memorable enough that they still stuck with us anyway, even if some of the films that won awards didn’t. So there’s always that consolation. All of these are truly wonderful performances. The only I can’t speak about is that of James Woods in Salvador which I have yet to see. Aside from that, you do well in highlighting the excellent work of Sigourney Weaver in Aliens as I believe she’s the only one in your list that wasn’t even a candidate to win the award. I’m still astonished at what happened to Rourke with The Wrestler. Surely, Sean Penn deserved praise for his turn as Harvey Milk, but it was certainly not as nuanced, or as moving a performance as Rourke’s. In fact, I was dumbfounded considering all of the awards leading up to the Oscars went to Rourke instead of Penn. What a fantastic list. Well done Dan. Completely agree with pretty much all of these especially Rourke over Penn. One is a very good performance and the other is iconic and career defining. While I’m at it, might as well add Rosamund Pike over whoever wins Best Actress this year since it looks like she won’t.